The City of sunny Isles Beach is found in Miami-Dade County and has a population of about 22,000 residents. It's a part of the largest Miami Metro area, which is home to more than 5.6 million residents. Along with the large population, the area is very attractive for visitors. Sunny Isles Beach was the site for the annual MTV Spring Break celebration in 2008. Even when there isn't a huge celebration this area attracts a large number of visitors during Spring Break and other times of the year. Mixing so many visitors within the regular population makes the roads rather dangerous. Visitors often don't know where they are going and they bring a unique driving style to the area, as well. Gaining access to Sunny Isles Beach is often done by traveling on Interstate 95. The Florida portion of I-95 is the most dangerous highway in the country. Sunny Isles Beach is also served by A1A, which is another dangerous highway. The coastal location attracts a large number of visitors congesting the roads and making driving very dangerous. Miami-Dade County experiences more than 45,000 traffic accidents every single year. Many of the accidents in the area lead to injuries and some are fatal. Traffic crashes throughout the Miami Metro area are on the rise. Law enforcement has to enforce the traffic laws or the accident stats will become far worse. Police issued more than 470,000 traffic tickets throughout Miami-Dade County in 2015. Over 160,000 of the tickets came from red light cameras and another 89,000 were given to those caught speeding. The number one offense leading to accidents in Florida is careless driving and more than 54,000 tickets were given out for this offense in 2015. A suspended license is never a fun thing to deal with. If you get too many traffic tickets, you may face a suspension ranging from 30 days to 365 days. The system in Florida is based on points. Each traffic citation comes with a point value from 3 to 6 points. Get 12 points in a one-year period and you face a 30-day suspension. Those receiving 18 points in 1.5 years will get a 90-day suspension and those receiving 24 points in a 3-year period will lose their license for a full year. While your license is suspended, if you get caught driving, you will face up to $500 in additional fines and 90 days in jail. You don't want to get caught driving with a suspended license. You don't have to put your license at risk. You can take the basic driver improvement course from online traffic school to keep points off your license. This is one of the best ways to keep your license clean. Of course, after taking the course, you will want to start obeying the traffic laws because points on your license often mean higher insurance rates. The steps to getting rid of points are very easy. Simply pay the ticket and let the clerk of the court know you will be enrolling in online traffic school. Then, complete the course and get your certificate of completion. After receiving your certificate, you will need to turn it into the clerk of the court. This is how easy it is to keep the points off your license. You can even take the course online from the comfort of your home. 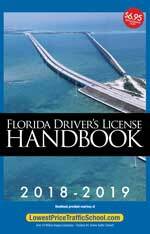 As a Florida resident, you get to take the basic driver improvement course up to five times. However, you can only use it once every 12 months. 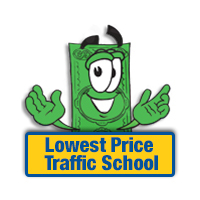 If you haven't taken the course in the last 12 months or a total of 5 times, you should be eligible for traffic school. Whenever you receive a traffic ticket in Sunny Isles Beach, Florida, you will deal with the Miami-Dade County Clerk of the Court for payment and information. The clerk of the court handles everything having to do with traffic tickets for the area, even your certificate of completion for traffic school. When you need more information about the Miami-Dade County Clerk of the Court, you can visit their website.